Fewer than 20% of companies say that “everyone” in their business gets the numbers they need to make day-to-day decisions (according to The Advanced Performance Institute). 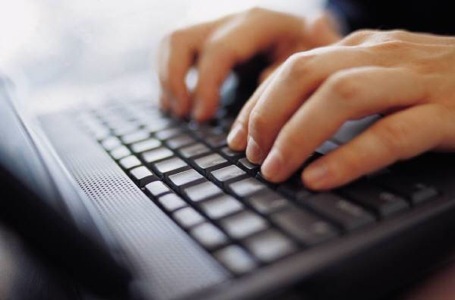 To steer the business properly, leaders need a long list of KPIs – usually on a monthly basis. That list can get shorter, when data for metrics becomes real-time. Maybe it’s time to rethink key performance indicators for your manufacturing operation in context of real-time data. It means the right people and the right insight at the right time. 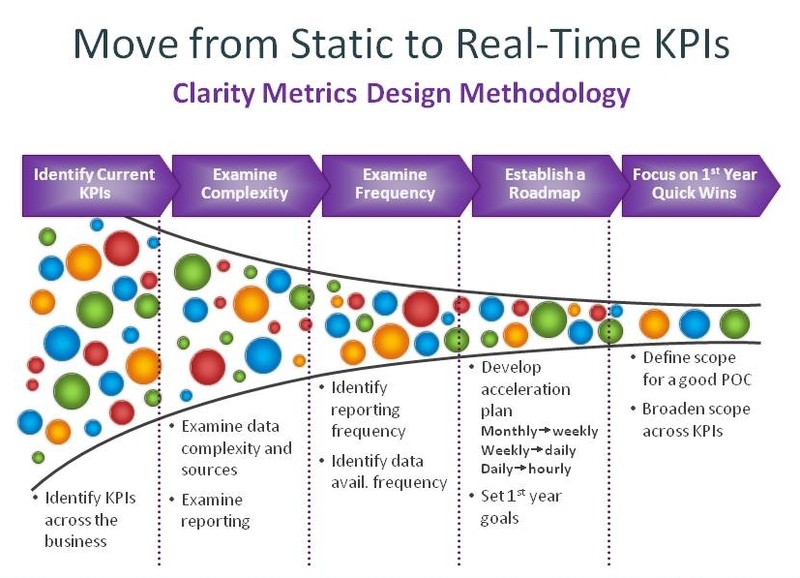 Consider this: Producers that shift from static information to real-time data are the real winners when it comes to operations performance, complete on-time shipments, and new product introductions. They’re also the ones that can shift from monthly KPIs to weekly, weekly KPIs to daily, and daily to real-time, and in the process reduce the number of front-line metrics to just those that will have the greatest impact on operations and business performance. What does it take to develop a KPI strategy for the next generation manufacturing enterprise? 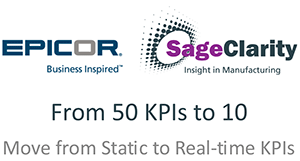 Following up on a recent blog post on manufacturing KPIs, Epicor Software recently hosted this educational webinar, featuring Sage Clarity’s CEO, John Oskin. Mr. Oskin, a 25+ year veteran of manufacturing operations and performance improvement, describes how to rev-up KPIs and decision-making – to give everyone – on the shop floor, and on up to the top floor – a role in decision-making, performance and profitability. Take a 30-minute break from your KPIs to have more impact on your business. No thanks. Take me back to the last screen.